I'm psychologist, from Chile. This website is WONDERFUL!! Comprehensive, clear, simple, great!!!! Applied Predictive Modeling covers the overall predictive modeling process, beginning with the crucial steps of data preprocessing, data splitting and foundations of model tuning. The text then provides intuitive explanations of numerous common and modern regression and classification techniques, always with an emphasis on illustrating and solving real data problems. Addressing practical concerns extends beyond model fitting to topics such as handling class imbalance, selecting predictors, and pinpointing causes of poor model performance - all of which are problems that occur frequently in practice. The text illustrates all parts of the modeling process through many hands-on, real-life examples. And every chapter contains extensive R code for each step of the process. 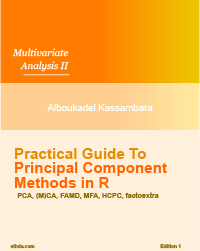 The data sets and corresponding code are available in the book's companion AppliedPredictiveModeling R package, which is freely available on the CRAN archive. This multi-purpose text can be used as an introduction to predictive models and the overall modeling process, a practitioner's reference handbook, or as a text for advanced undergraduate or graduate level predictive modeling courses. 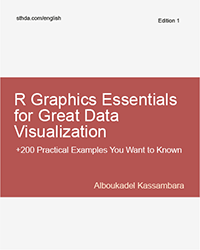 To that end, each chapter contains problem sets to help solidify the covered concepts and uses data available in the book's R package. 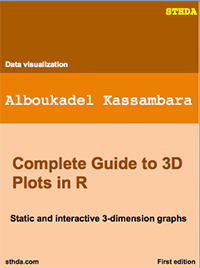 Readers and students interested in implementing the methods should have some basic knowledge of R. And a handful of the more advanced topics require some mathematical knowledge.